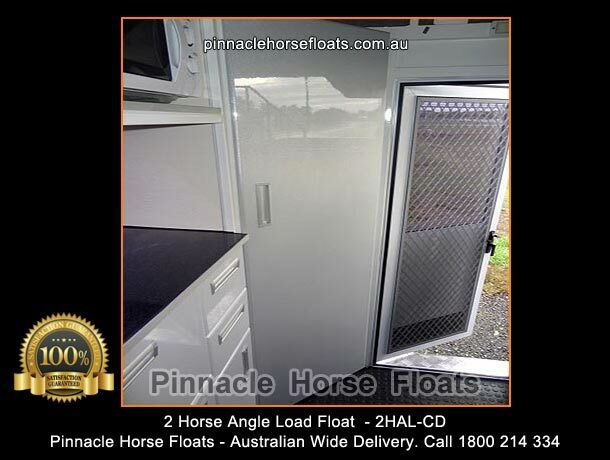 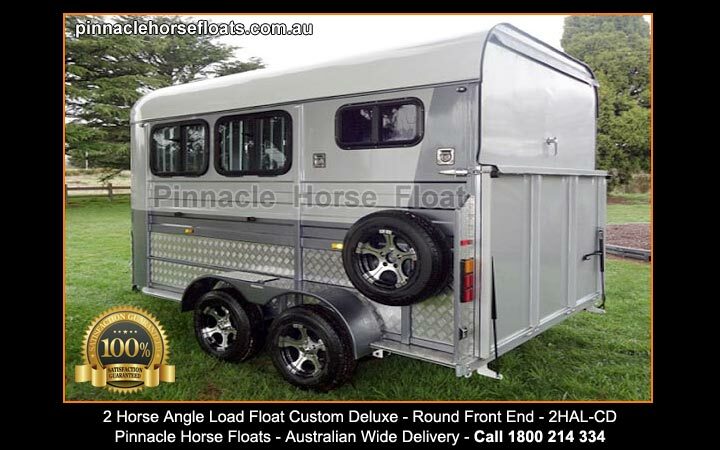 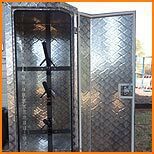 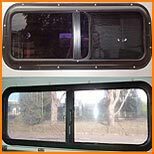 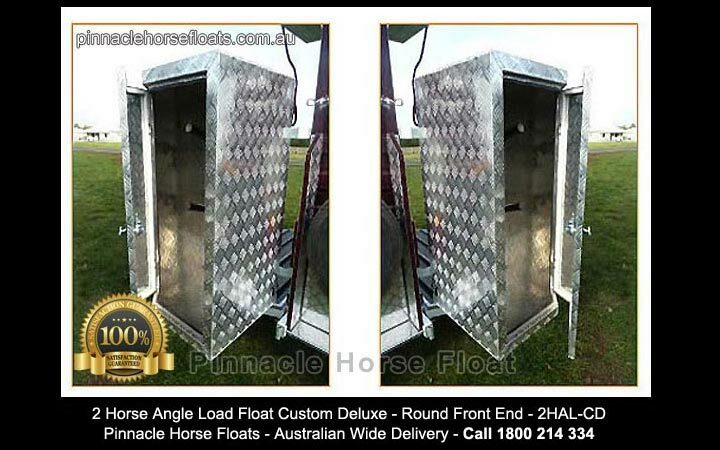 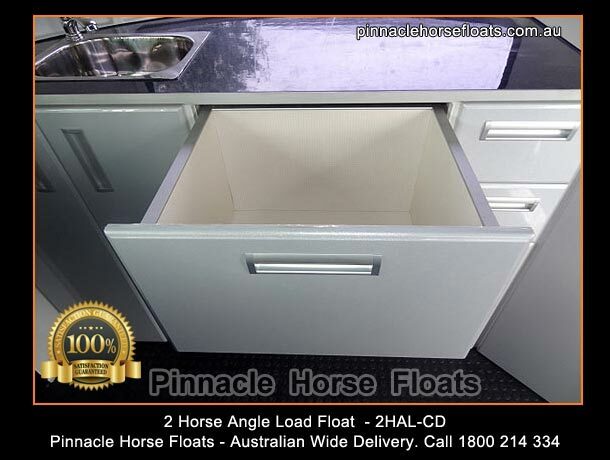 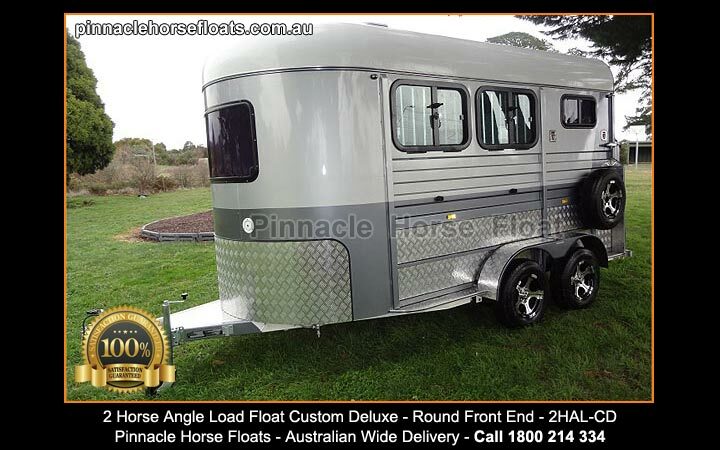 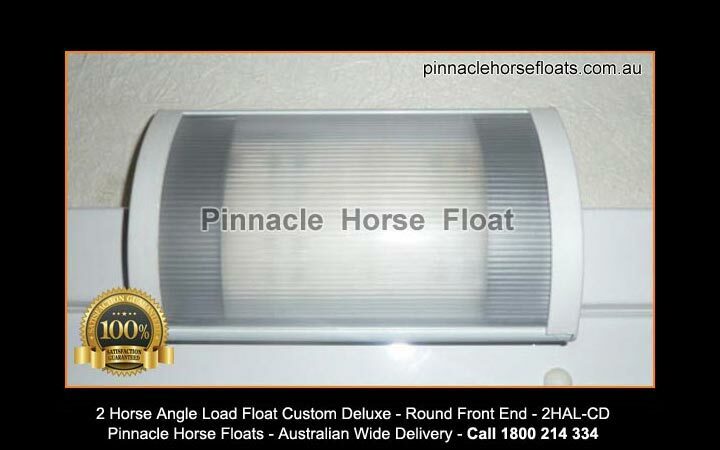 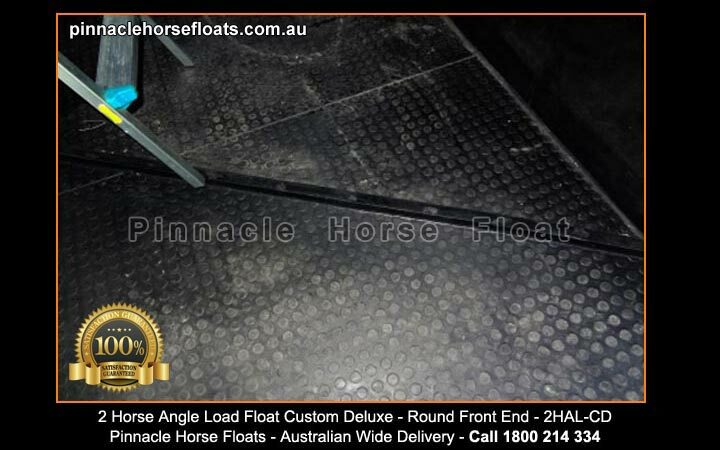 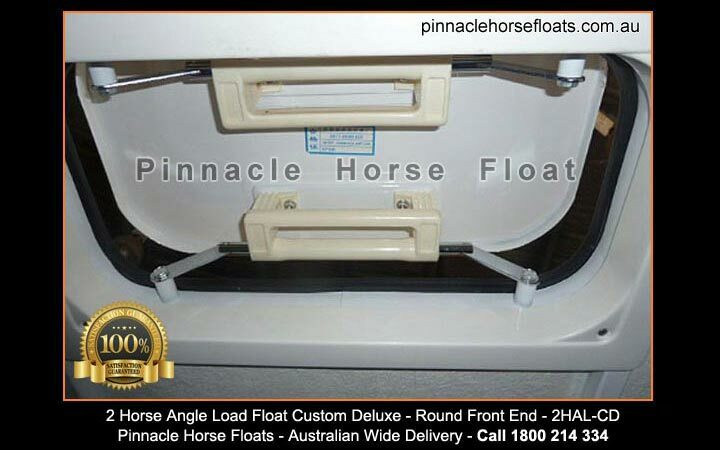 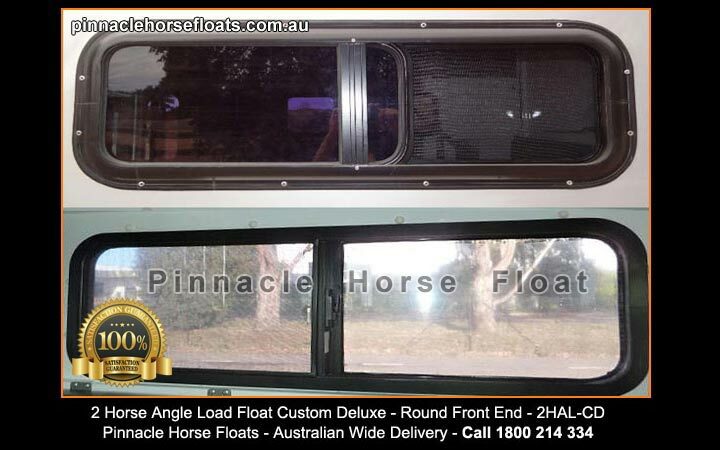 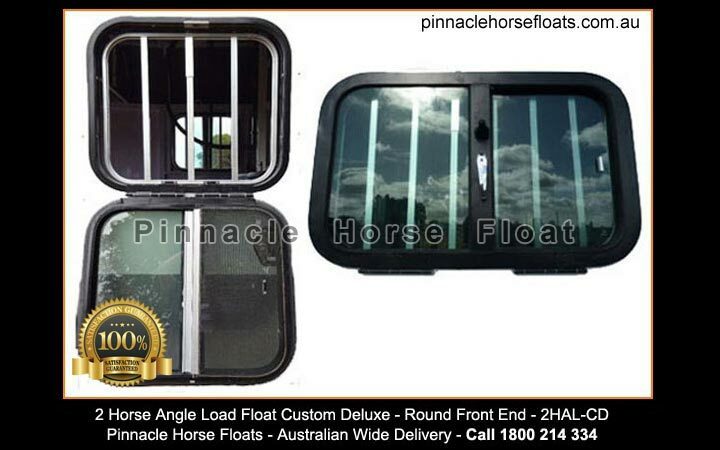 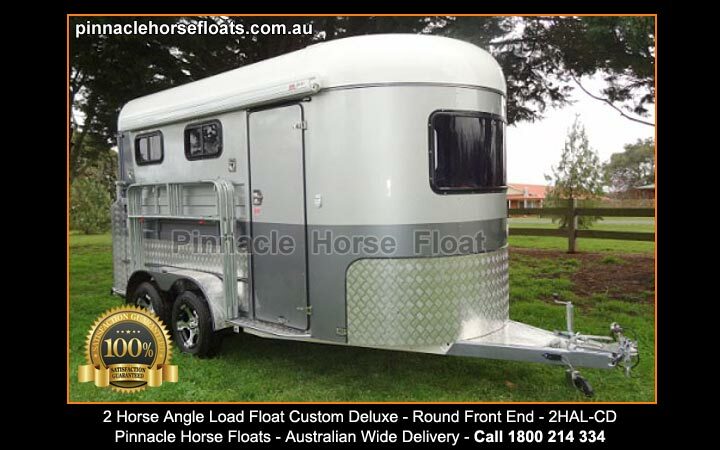 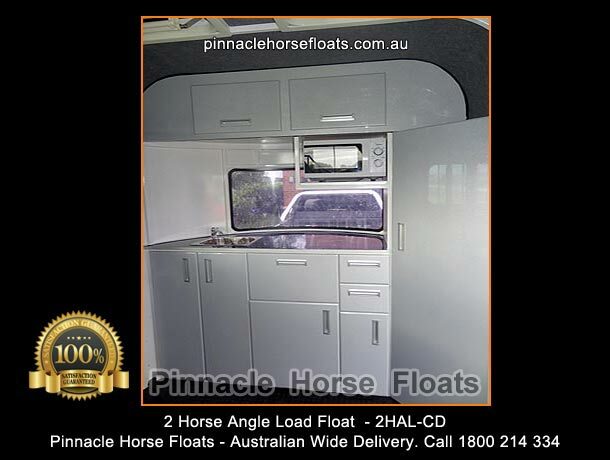 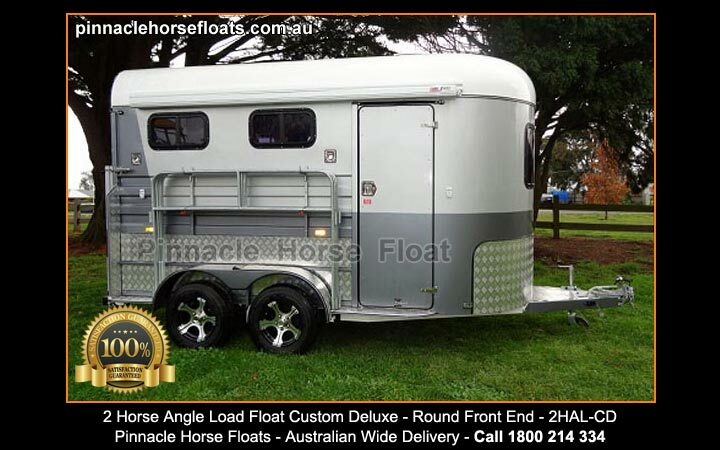 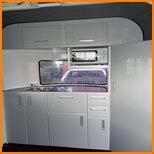 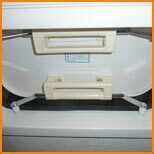 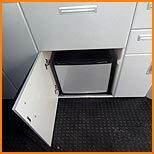 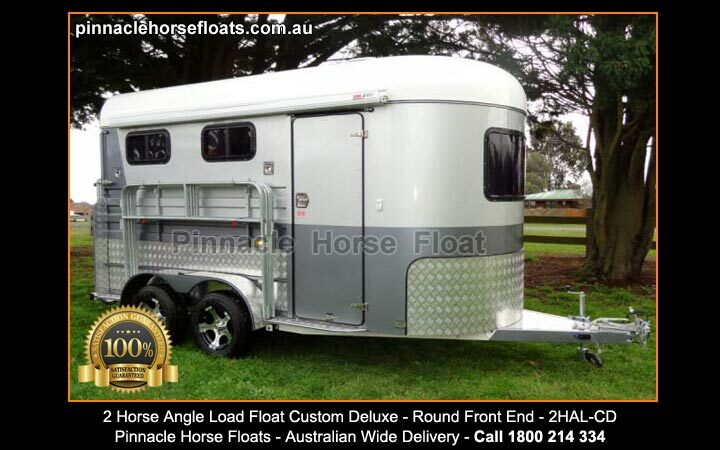 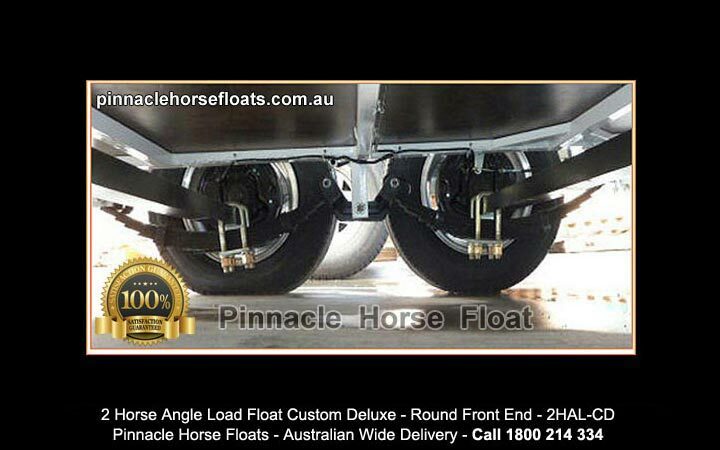 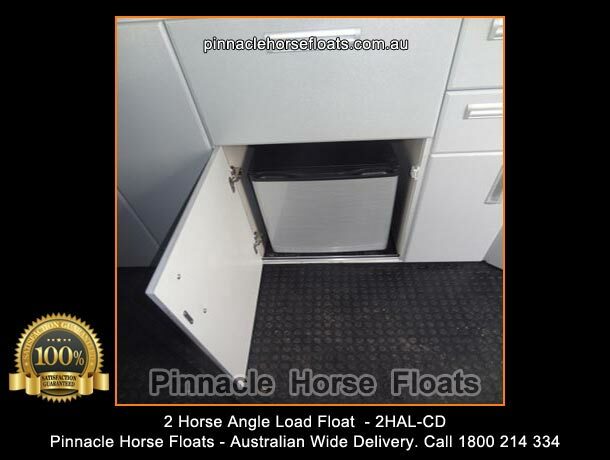 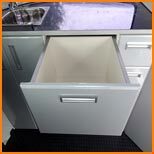 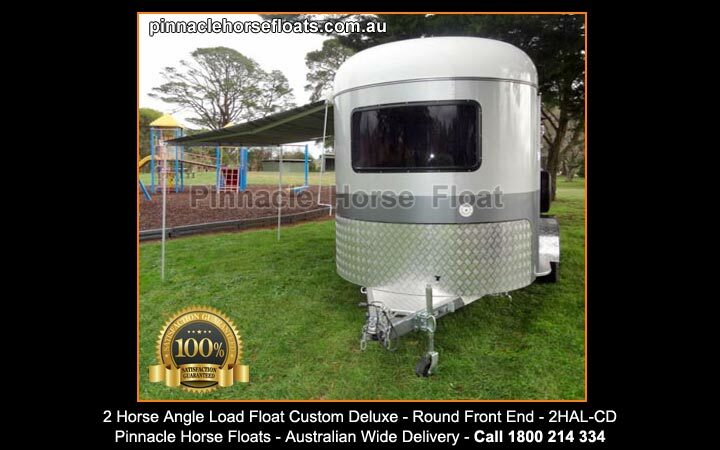 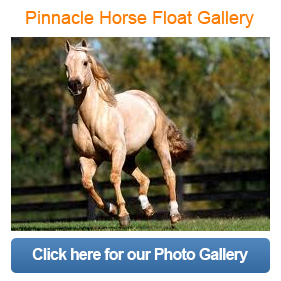 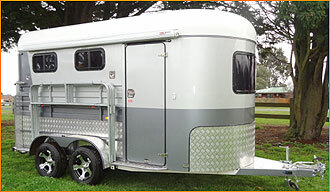 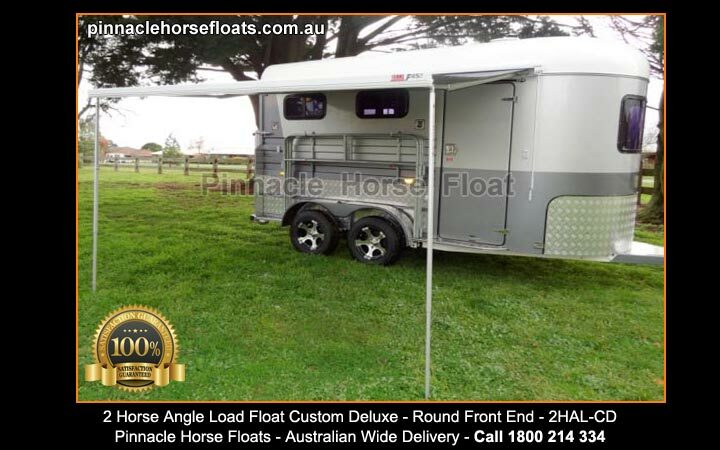 2 Horse Angle Load Custom Deluxe Float, 2hal-cd, comes with all options including wind out Italian Fema awning, front kitchen with self closing drawers, wardrobe, 12 volt refrigerator and 240 volt microwave, benchtop, sink, tap, electric 12v pump, 12 metres of horse fencing attached to side of float. 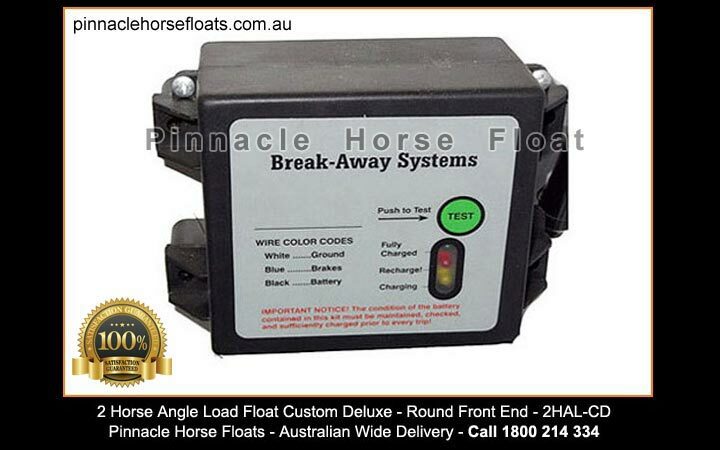 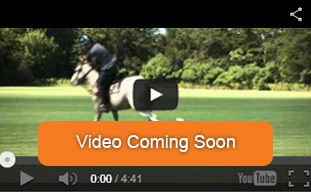 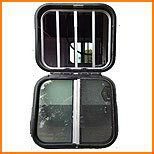 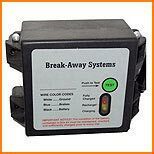 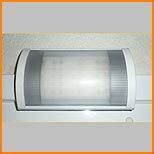 Also 4 wheel electric brakes with electric breakaway system. 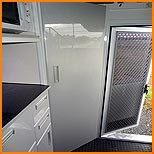 On top quality roller rocker suspension, 4 x 8 leaf miltary springs, mounted to hot dipped galvanised 4mm chassis. 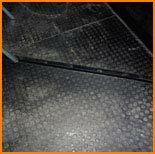 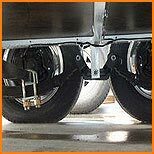 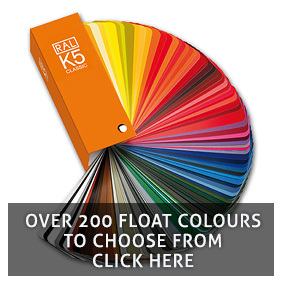 All nuts and bolts are stainless steel, heavy duty 50mm trailer axles.